Do your homework, because there's a cruise for every travelling type – though if you get on the wrong style of ship, you'll be disappointed. Each varies considerably in size, amenities, luxury levels, clientele and fun levels versus relaxation. The biggest ships are family-friendly floating resorts with abundant pastimes and dining and entertainment choices. Small luxury ships emphasise culture, enrichment programs and time in port, while expedition ships venture to remote, less visited destinations. Check all your inclusions before you book. 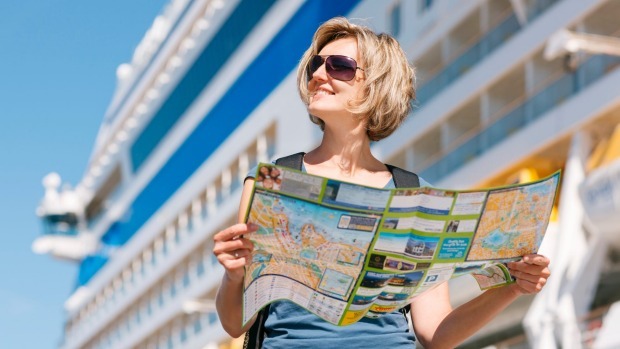 A benefit of cruising is the upfront, all-in fare, so you know in advance exactly how much your holiday costs. You'll get accommodation, food, entertainment and kids' clubs for free. You'll have to be canny not to spend more, however. Mainstream ocean-cruise lines charge extra for shore excursions, premium dining, tipping and alcohol. If you're a big drinker, a prepaid drinks package might work out cheaper. Book early (ideally a year in advance) to bag a bargain. Last-minute deals are becoming rare. You'll get better prices on a company's older ships, on repositioning cruises, and outside school holidays, the Christmas period, and July-August in Europe. Many Americans holiday over President's Day in late February, creating a bump in fare prices. In Australia, October-April is high season, April-May is shoulder season. Worldwide, September is the best-priced month for cruising. Book a year in advance on rivers as well to guarantee savings (often 25-50 per cent) and your choice of cabin. There are often early-booking discounts and specials such as complimentary flights and cabin upgrades. There are occasionally deals for solo travellers. High season on rivers isn't the same as on oceans. The busiest months for European river cruising are May, June and September, with a resurgence in December for Christmas market itineraries. Ships can have confusing cabin varieties. Like hotel rooms, the bigger the room and better the amenities, the more the cost. Top deck cabins attract a premium price, even though lower (and mid-ship) cabins suffer less from ship movement. Suites and cabins with balconies are the most expensive, but if you like socialising and enjoy on-board entertainments then a balcony can be a pointless extravagance, and you should consider a bargain-priced inside (windowless) cabin. While shore excursions are included on most river cruises, they usually cost extra on ocean cruises. Standard city tours are often overpriced, and if the cruise terminal is conveniently located it can be much cheaper and more enjoyable to tour yourself. You'd do much better to spend your money on alternative shore excursions such as trips inland, activities such as diving or cycling that require equipment, or "insider" tours with experts. If you want more port time, book a river cruise in the downstream direction since, aided by the current, ships spend less time sailing. Don't feel as if you have to stick to the tour schedule. River ships nearly always dock right in town centres, and it's easy to get off and explore by yourself, or stay on after tours. Early morning or post-dinner walks can be especially rewarding, and your port less tourist crowded. If you imagine cruising involves fancy clothes and tuxedos, you're out of date. Most cruise ships – even luxury ones – are increasingly informal. Casual clothing is generally fine, smart casual does for evenings in restaurants – occasionally a jacket is required, but seldom a tie. Some cruise ships have "cruise elegant-' evenings, but these will be confined to certain areas and dining venues. Colour co-ordinate your wardrobe and accessorise to save suitcase space. Special-needs travellers shouldn't be put off cruising, although even the most thoughtful ship will have inaccessible areas. Avoid older ships; newer ships are far more disabled-friendly and most have cabins with more manoeuvring space, roll-in showers, telecommunications for the hearing impaired and the like. Many companies have webpages devoted to special-needs information, and sometimes an information phone number. Celebrity, Holland-America, Norwegian, Princess and Royal Caribbean rate well for accessibility features. Nothing bothers Australians more than tipping. Although many river and some luxury-end ocean ships include gratuities in the fare, American-style tipping prevails elsewhere. Most companies automatically add a gratuity to your final bill so you don't have to work it out yourself. If you insist, it will be removed. Expect to pay about $US12 per person per day in tips. Many people separately (and directly) tip their cabin housekeeper; consider $US5 per day.